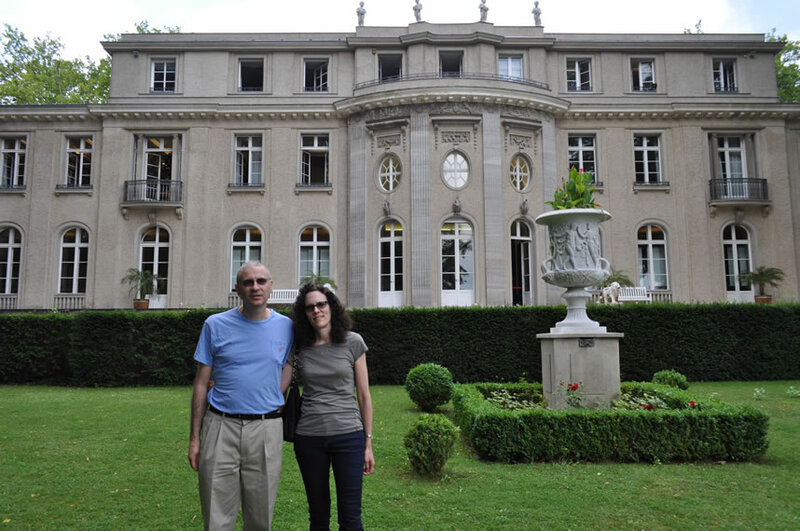 Today is January 20, 2014, exactly 72 years since the Wannsee Conference (pronounced Van-Zeh). The Wannsee Conference was a meeting of senior officials of Nazi Germany, held in the Berlin suburb of Wannsee on January 20, 1942. The purpose of the conference, called by SS-Obergruppenführer Reinhard Heydrich, was to ensure the cooperation of administrative leaders of various government departments in the implementation of the final solution to the Jewish question, whereby most of the Jews of German-occupied Europe would be deported to Poland (“the East”) and exterminated. 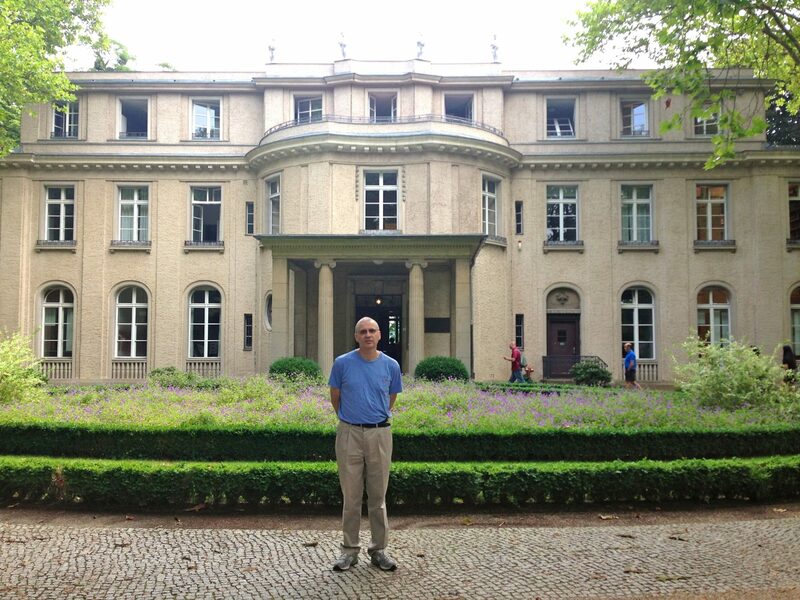 This past summer I visited the Wannsee Villa with my family, so today I would like to describe that visit to you, and share with you some of the pictures I took. The Wannsee villa is located on the shores of Lake Wannsee, a pastoral lake surrounded, on some sides by posh greenery and trees, and, on others, by boat basins and beaches. It is a considered a resort area. Once you enter the gate to the street, which completely hides the villa, you enter the front garden. leaders of the SS got out of their black German cars to discuss the extermination of the Jews of Europe. The back of the beautiful villa has a groomed garden with statues and overlooks the lake. The calm exterior gives no hint as to the sinister decisions that were taken inside on that cold January morning in 1942. The ground floor of the villa has been converted into a museum and educational center. If you hire a guide, you should know that museum rules do not allow the guide to give any audible explanations inside the villa. So, there is an eerie silence as people walk through the rooms. Most are stunned by what they see. Each document shown on display is stamped with a seal of authenticity. But the meeting didn’t actually occur on December 9th, 1941 as planned. Can you guess why? Well, the meeting was postponed because, as every American knows, on December 7th, 1941 the Japanese bombed Pearl Harbor! bios of the key Nazi leaders who attended the conference. You can read in more detail about each of them here. A close-up of the poster shows its meticulous detail and thoroughness: there was an accompanying coversheet which explained that the number of Jews has been rounded to the nearest hundred for clarity, while the Russian numbers are given without rounding. The first part of the meeting was a quick summary of all the methods that have already been tried by Germany to solve the Jewish question. First among the “failed” solutions was deportation. Some of this appears in the Minutes of the meeting as well, but here are some documents related to a lesser known “solution”: The Madagascar Plan. The implementation of the Madagascar Plan was initially postponed when the Germans failed to defeat the British in the Battle of Britain in 1940, and was subsequently never implemented as the Nazis shifted from a policy of forced emigration to extermination. “Since the basic position regarding the practical execution of the final solution of the Jewish question has fortunately been established now, and since there is full agreement on the part of all the agencies involved, I would like to ask you…to make your specialist official available for the necessary discussion of details in connection with the completion of the draft that shows the organizational, technical and material prerequisites relating to the actual starting point of the projected solutions”. 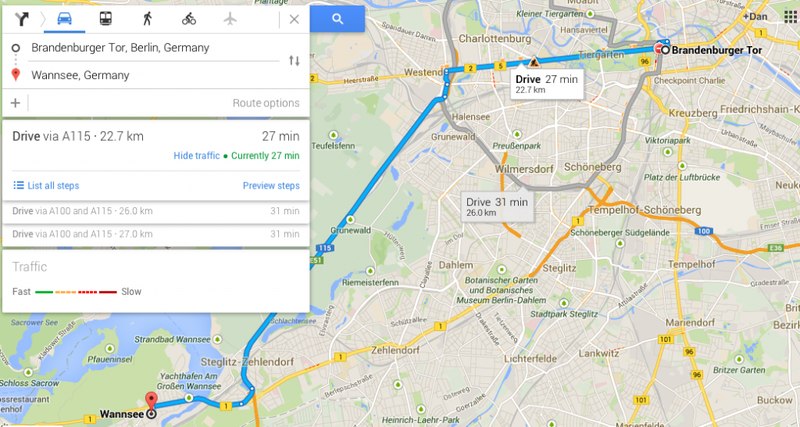 In his trial in Israel in 1961, Adolf Eichmann was questioned about Wannsee. He explained that Heydrich (who signed the minutes) asked him to write the minutes and “sanitize” them of all details. You can read Eichmann’s full testimony on the matter here. 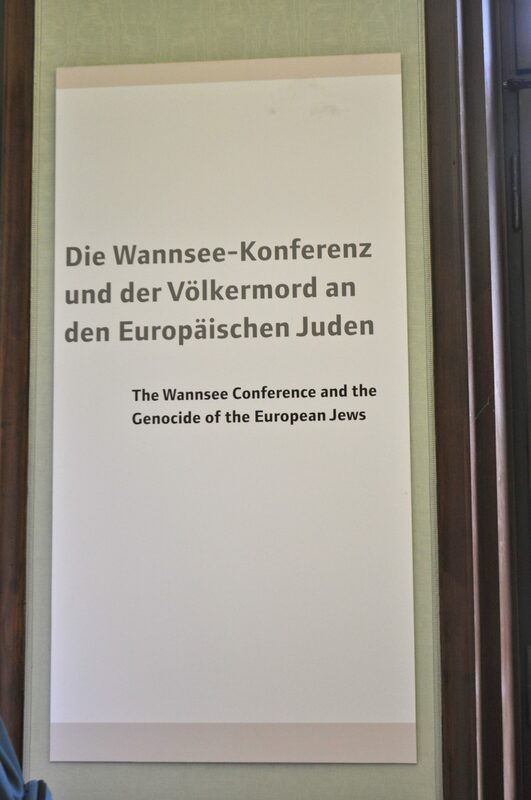 Presiding Judge: … Now in connection with the Wannsee conference, you answered my colleague Dr. Raveh that this part of the meeting, which is not mentioned in the protocol, the discussion was about means of extermination. Systems of killing. Q: Who discussed this subject? Page 3 continues: “The most important elements are: a) forcing the Jews out of the various spheres of life of the German people. b) forcing the Jews out of the German people’s living space…an accelerated emigration of the Jews from the territory of the Reich was seen only as a temporary solution…the aim of this task was to purge German living space of Jews by legal means“. The same page laments how other countries’ “constantly increasing restrictions and bans on immigration all greatly impeded emigration efforts. Yet despite these difficulties, roughly 537,000 Jews were compelled to emigrate from 1933 to 1941…”. However, even this extortion was not enough to solve the problem and on Page 5 the first mention of the final solution emerges: “In the meantime, Himmler has forbidden any further emigration…due to the looming possibilities in the East”. At this point the minutes included the page shown above with the breakdown of Jews by country which adds up to 11 Million. On page 10 we are introduced to the problem of the Mischlinge, a German term used to denote “crossbreeds” who have both Aryan and Jewish ancestry. The exhibit also includes posters which were distributed to explain the racial mixed breed aspects of the Nuremberg Laws to simple citizens in plain graphical form. Aryan blood is shown as white, Jewish blood is shown as black, and all possible mixtures up to the level of the grandparents on both sides are considered as polluting the purity of the Aryan race. Even one Jewish grandparent makes the person 1/4 Jewish (second degree Mischlinge), and those were to be judged by the “Jewishness” of their appearance.